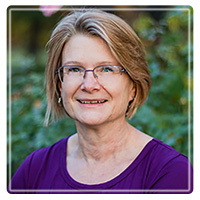 Susan Derry, B.Ed., M.Psy., R.T.C., M.T.C. Do you have the relationships you want with your loved ones? Or, do you wish you were closer to your partner, your family or friends? If your relationships are rocky--not for lack of trying--but for lack of being able to get through to one another, counseling can be (and in my experience, most definitely is) a critical turning point. After 42 years in a loving marriage, 38 years as a mother, and 20 years as a Relationship Expert and Master Therapeutic Counsellor, I am no stranger to the ups and downs of relationship (and how to create MORE UPS than downs). You have the same argument over and over again. You don’t feel heard or respected. You fear the relationship is doomed. You worry you may damage your relationship with your loved ones beyond repair. Whatever the problems in your relationships, you are here because you love your spouse or partner and your family and you desperately want closer, more loving relationships--but how? In sessions with me, you’ll discover how to turn your rocky relationship around--no matter how bad things seem right now. Feel loved and connected again. Build new and higher levels of trust and closeness in your relationships. Feel proud and confident about who and how you are in your relationship. Manage big feelings like anxiety or anger without pushing your loved ones away. Not sure if you should do couples counseling or individual counseling? I do both. Let’s talk. Aside from my 20 years experience as a therapist, I am also a Certified Professional Coach. That means I have access to a bigger "tool belt" to help you. On top of smoothing out your relationships with others, our sessions will help you solidify your relationship with yourself (this is the “secret” to healthy, happy, lasting relationships, by the way). Together we’ll bust through everything that stands in the way of you living the bold, experience-rich life you have always dreamed of – with your loved ones. Deeply satisfied in all your relationships. Fulfilled in the relationships you have with your family and your partner. Secure and grounded in your romantic relationship. Confident in your ability to effectively communicate with your loved ones. Crystal clear that your relationships can withstand (and even grow closer) through life’s challenges. I’ve helped hundreds of couples and individuals transform their relationships and their lives for the better. Let me help you, too. Get in touch with me today. Reaching out for help is an act of bravery. I am extremely grateful for the privilege to witness and support you as you transform your relationships and life. Our office is centrally located, and lunch hour and evening appointments are available. At Bridge Counseling, we specialize in connecting you to your potential, allowing you to consciously design your best life. Our team brings the expertise to facilitate both the healing of counselling and results-oriented coaching to provide support for the educational and personal development of individuals, couples and families within the community. The best gift you could give yourself is the time to reflect and gain the clarity, skills and motivation needed to DESIGN the future you truly deserve! We provide professional, confidential and respectful therapy. We help you connect to your potential. Whether you want to improve your relationship with yourself, your spouse, your family or your co-workers; we build on your strengths and help you resolve issues that are keeping you stuck. This non-denominational marriage preparation education is accepted by most churches as a prerequisite for marriage. Fun, interactive course taught by professional counselors. Participate to your comfort level. Learn and practice skills that will enhance your marriage. Certificate of Course Completion. Meridian therapy is an exciting new approach to healing used by therapists, nurses, physicians, psychiatrists, counselors and lay people worldwide. To date, using Energy Therapy has yielded exceptional results for emotional and physiological problems. We have not encountered or heard of any adverse side effects when the treatment suggestions and protocols were followed. Energy Therapy techniques produce change by gaining access to the energy system of the body through the complex network of meridians or channels that move our life force or qi through our bodies. The discover Statement of Energy Therapy informs us as follows: "The cause of all negative emotions is a disruption in the body's energy system." The theory states that once there is a build-up of emotional or physiological distress, one of these pathways, or meridians, becomes blocked and must be cleared, cleaned out, strengthened, or aligned, in order for healing to occur. This system of meridians accessed in Energy Therapy was mapped out by the Chinese over four thousand years ago and is the basis of all acupuncture treatment. Imbalances in our energy system can be cleared up and healed by stimulating points along these meridians, unblocking congestion and evening out the energy flow. It does not matter whether emotional or physiological stress impairs the perfect functioning of these meridians; it only matters that these circuits of energy be realigned. Pioneers in the Energy Medicine field consider Energy Therapy to be a form of "psychological acupuncture." While acupuncturists use needles to facilitate movement of the life force through the body, energy therapists use the fingers to tap or simply hold the endpoints of these meridians. The stimulations of these meridian points in combination with cognitive statements and emotional focus, restores balance to the energy system, and allows the body and mind to resume their potent, natural healing process.